What is a EN Rating. 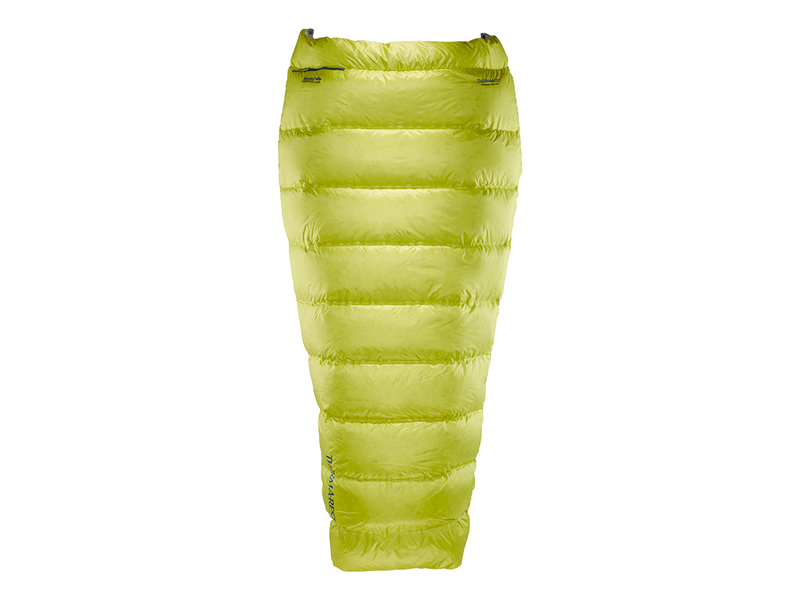 What makes a Therm-a-Rest women’s sleeping bag a women’s bag? Our extensive research into the differences between the way men and women sleep confirms that most women are indeed colder sleepers than men. 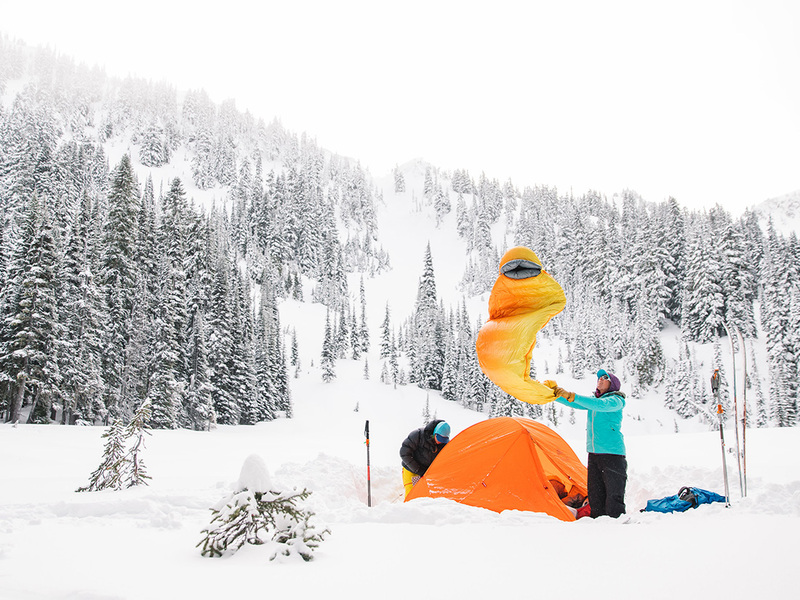 Our approach to designing women’s-specific sleeping bags with added warmth has three main components: First, we addressed fit because a bag with too much or too little space is not efficient and will result in lost heat. Having just the right amount of dead air space around you allows you to heat your bag up efficiently and makes maintaining that warmth easier. Our women’s bags are 6 in. 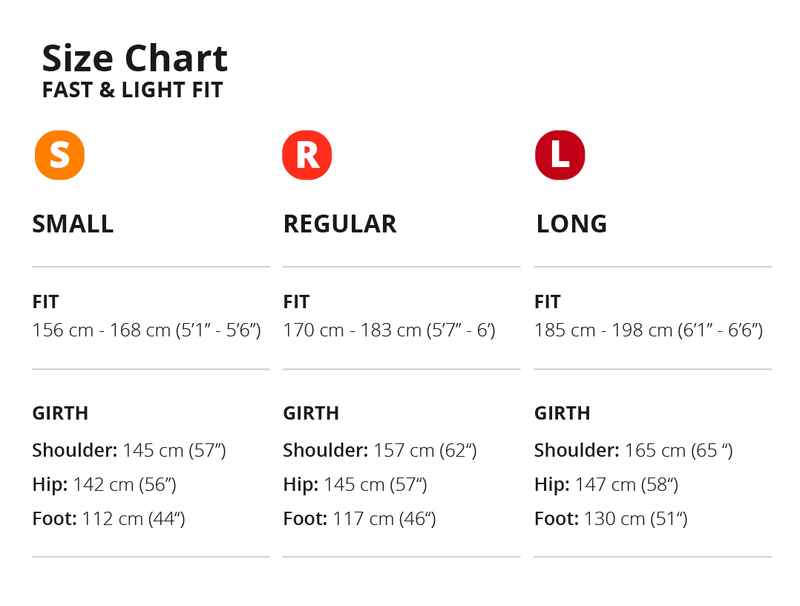 (15 cm) shorter in length than our unisex bags, and we cut them with added room in the hip area, while designing a more tailored fit in the shoulders. 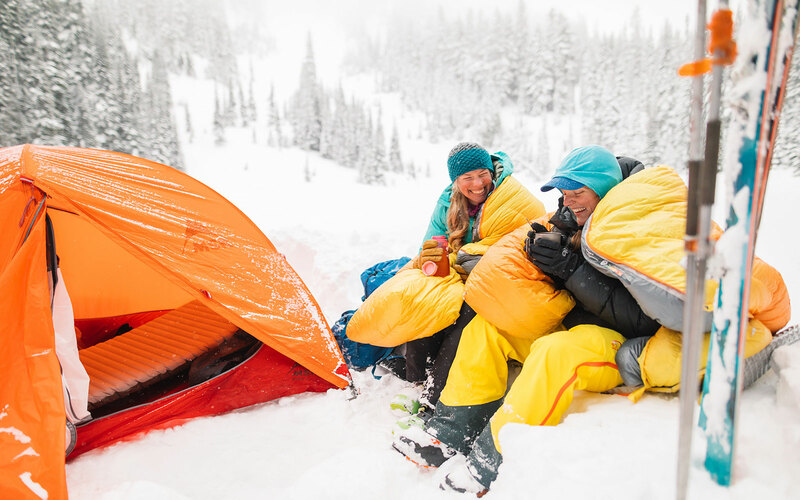 Second, our reflective ThermaCapture™ Radiant Heat Technology [link to tech page] is applied to the inner lining of all women’s sleeping bags, reflecting radiant heat that is otherwise lost through traditional insulation. 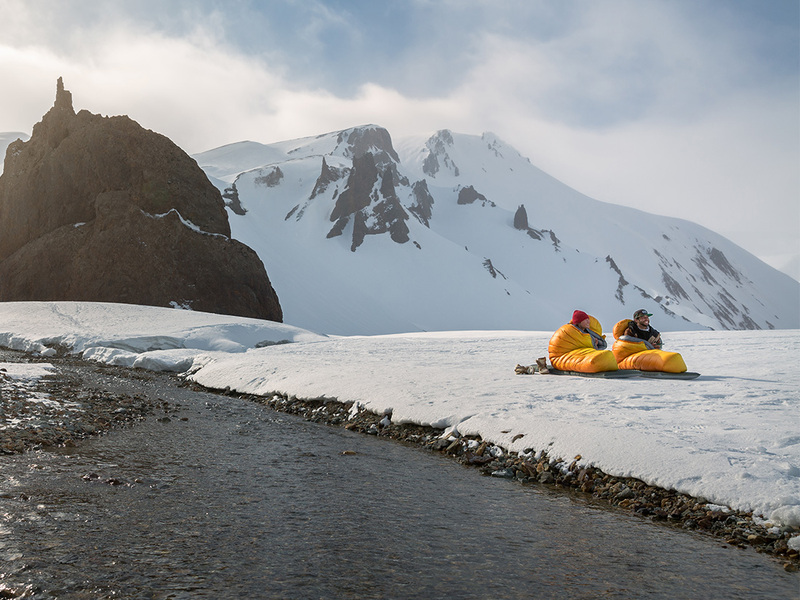 With it, you warm-up faster and it saves you weight and bulk because we can use it, instead of down or synthetic insulation, to contribute about 5F (3C) degrees-worth of the sleeping bag’s temperature rating. And finally, we added a great little down pocket for your feet inside the foot box of each bag that we call the Toe-asis™ [link to tech page]. How many times have you gotten in your bag with socks on, hoping to warm-up your feet faster? Now you have the choice to simply slide your feet up into this little haven of warmth and comfort. You can even roll side-to-side, and the whole foot box rolls with you to keep your feet toasty warm. Research shows that almost 70% of people sleep on their side, 13% sleep on their back, and only 7% sleep on their stomach. Unlike most mummy bags that are designed for people who sleep on their back, Therm-a-Rest® sleeping bags are designed to accommodate a wide range of sleep positions. 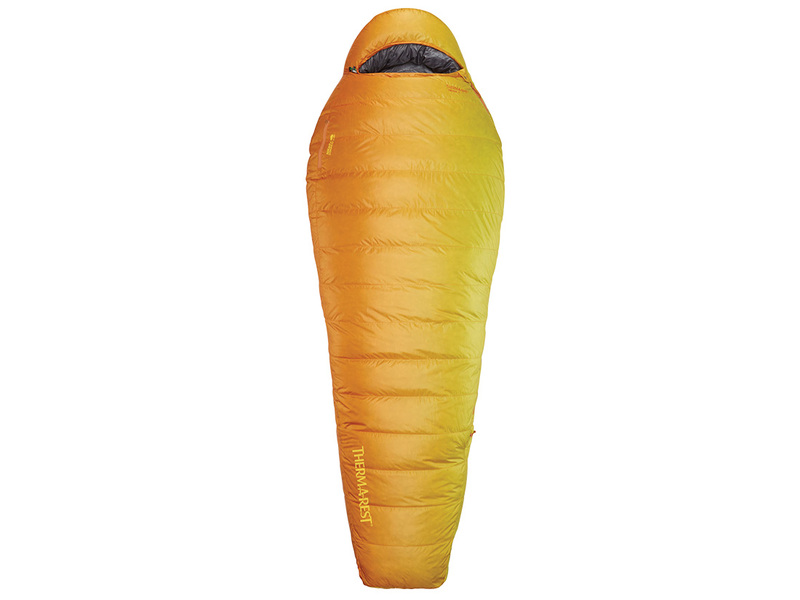 Therm-a-Rest sleeping bags are designed with extra room in the torso to allow your shoulders, elbows and hips to move freely. 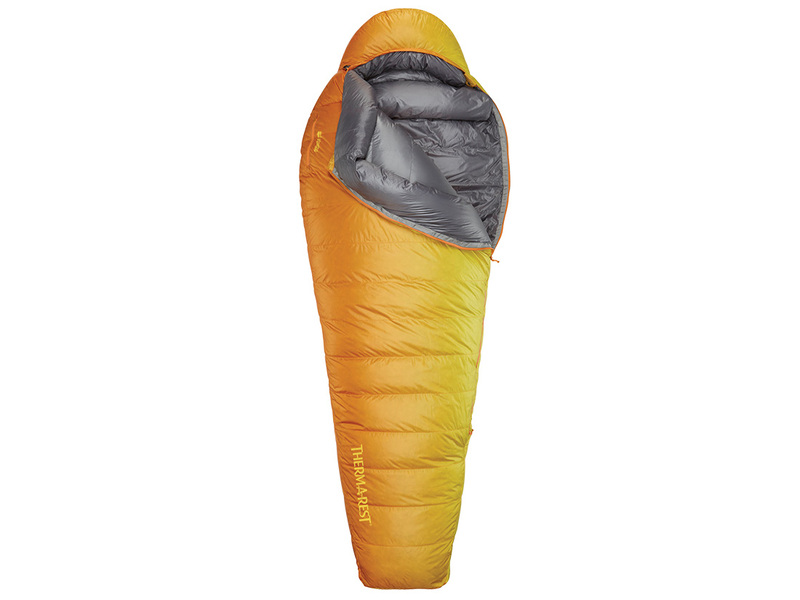 At the head and foot the fit is closer, keeping you warm and decreasing overall weight. In addition, the placement of our SynergyLink connectors is optimized to keep the mattress secure while you roll, yet allow the head and foot of the bag to rotate 90-degrees in either direction, following you for maximum comfort and warmth. 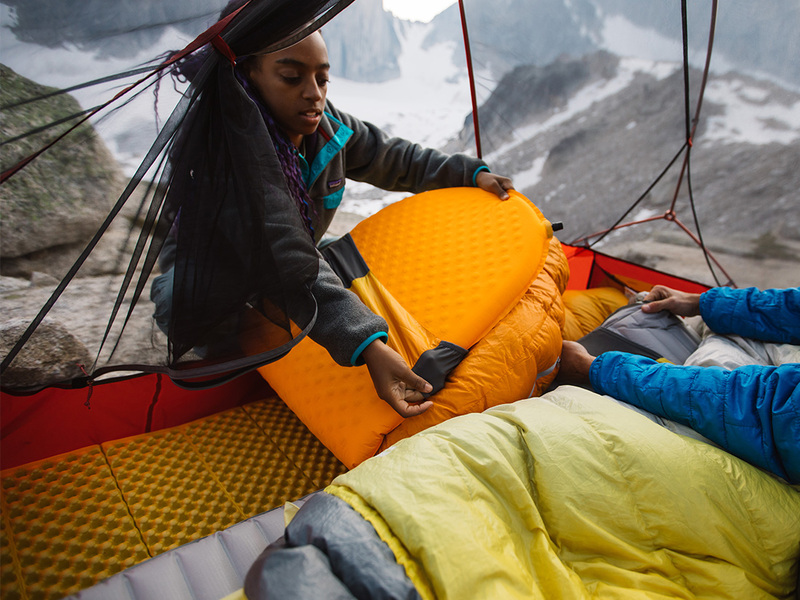 Our Efficient Comfort design is ideal for side sleepers or anyone who wants more freedom of movement without adding extra weight to their pack. 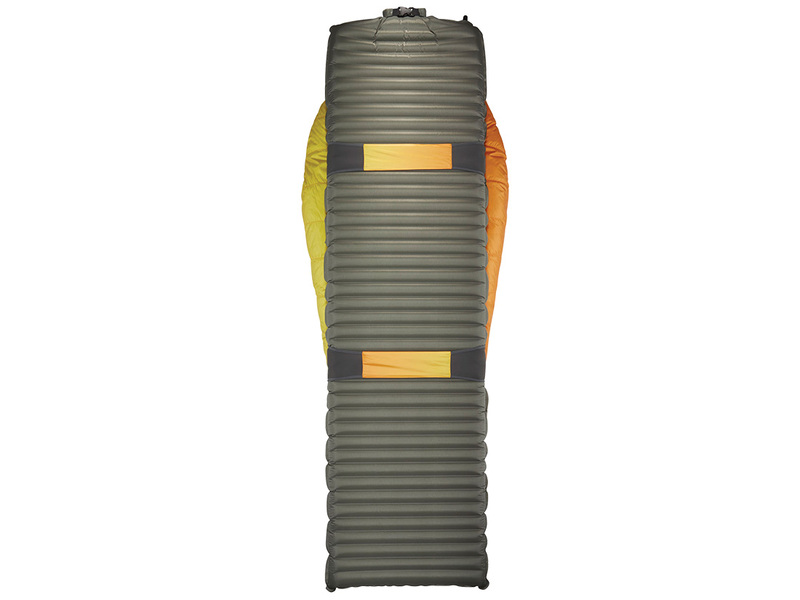 How do I attach a Therm-a-Rest quilt to a mattress? The Mattress Loop Kit, now included with each new blanket, and sold separately in the Fast & Light Mattress Snap Kit, includes (8) loop tabs with adhesive backing that let you attach your Therm-a-Rest blanket directly to any mattress, creating a lightweight sleep system. What is Eraloft™ synthetic insulation? 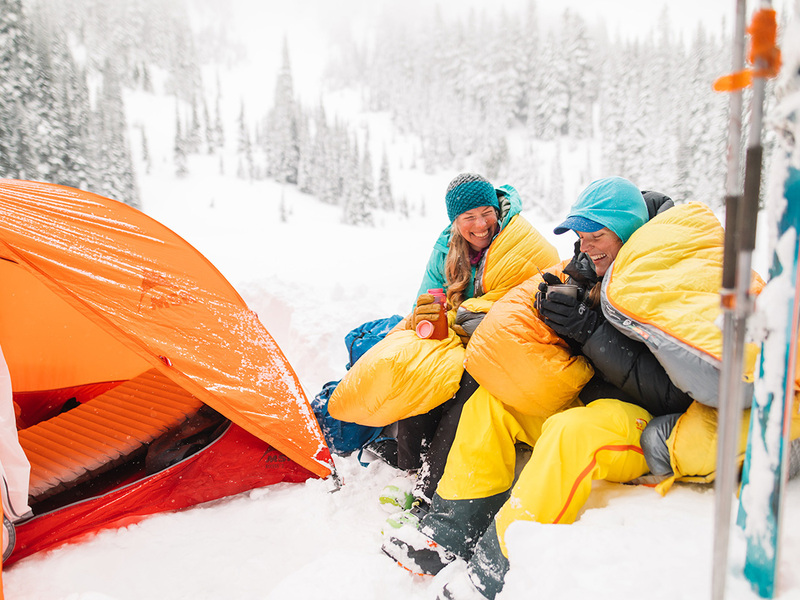 Developed in Europe, the EN 13537 sleeping bags ratings are the results of strict, standardized tests designed to provide you with a more meaningful and objective measure of a sleeping bag's warmth. 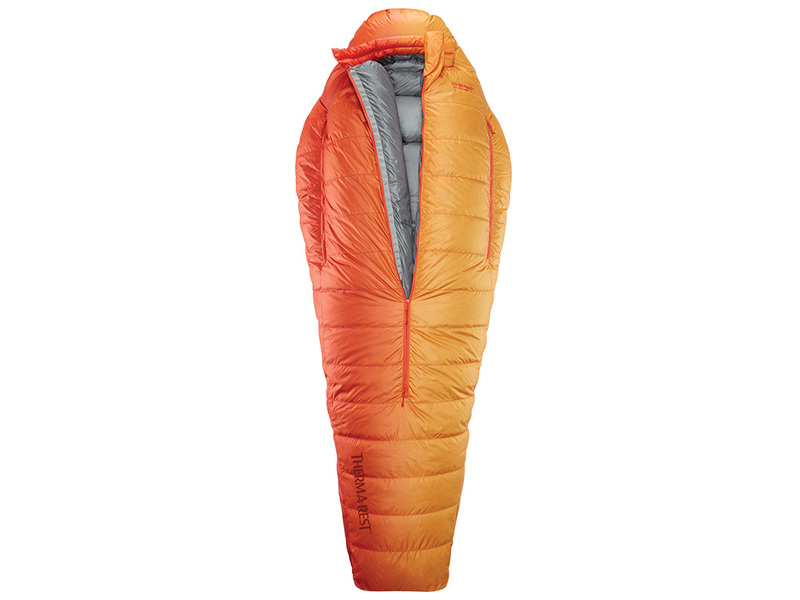 Without standardization, a sleeping bag's advertised warmth rating is unreliable at best, arbitrarily picked by the manufacturer. 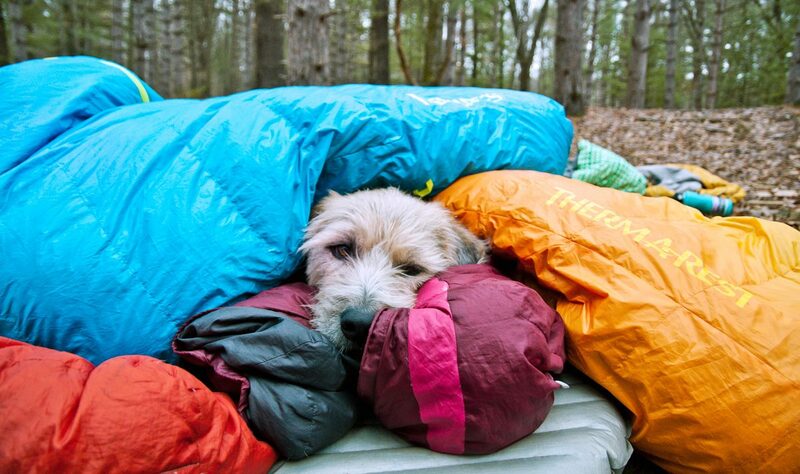 That's why most manufacturers today submit their sleeping bags to an EN-certified lab for testing. 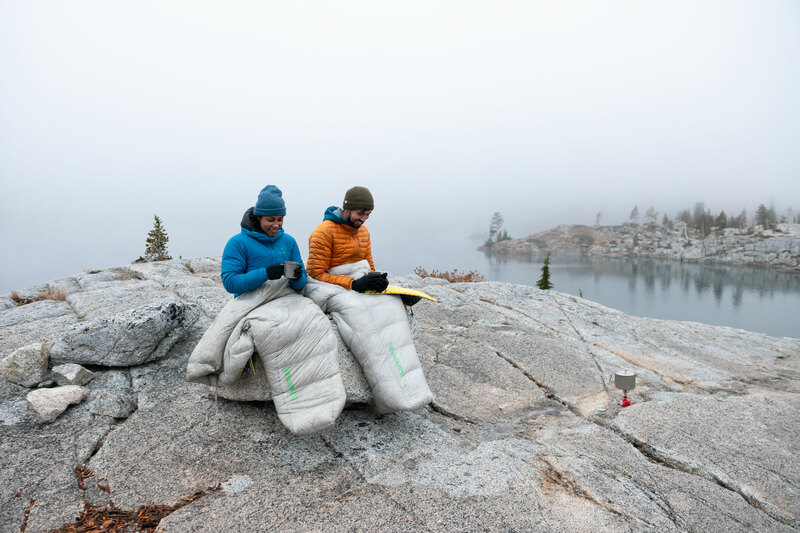 To provide you a more meaningful selection process, Therm-a-Rest sleeping bags are now grouped into seasons and, within that grouping, we provide you with the exact EN test results for each bag so you can compare it directly against other EN-rated bags. 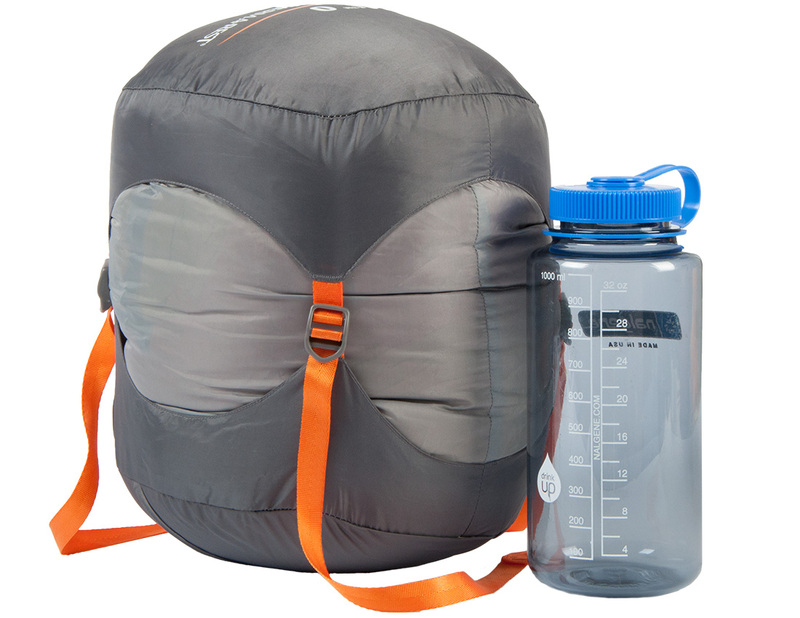 How do I store my sleeping bag when not in use? 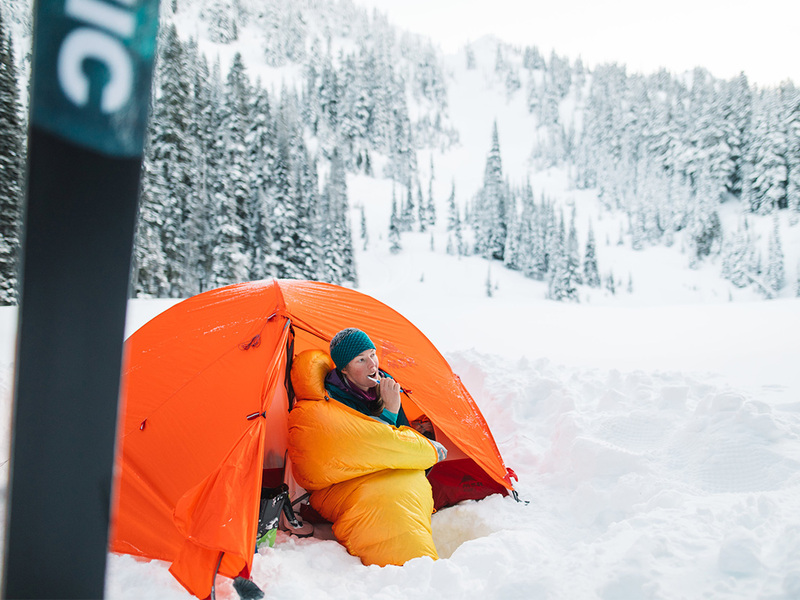 What is the Therm-a-Rest® Warranty policy for sleeping bags? 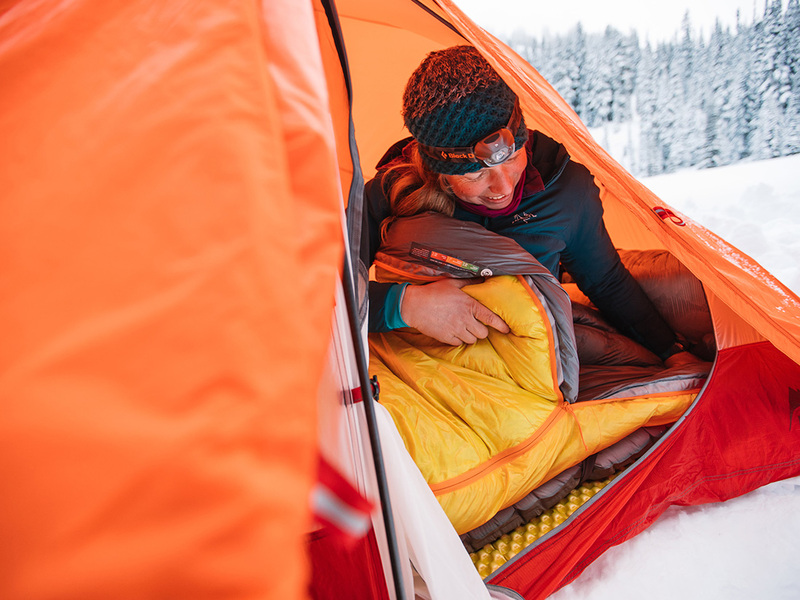 All Therm-a-Rest sleeping bags and quilts are covered under our Better Sleep Guarantee. 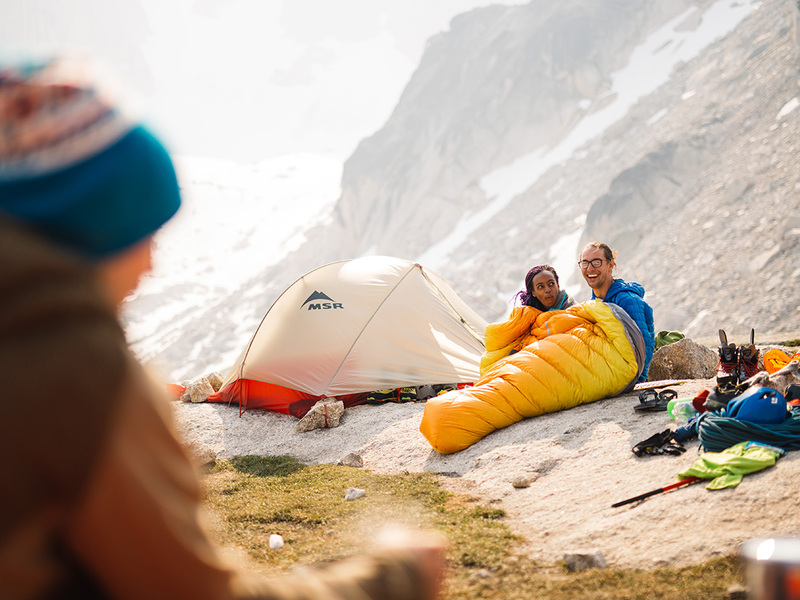 If you are not completely satisfied with your sleeping bag, return it within three months of purchase and we will give you a full refund- no questions asked. Visit" thermarest.com/warranty for more info.